Bharat Bandh 2019 Updates: Traders in Assam, Odisha are extending support to the Confederation of All India Traders' (CAIT) called for a nationwide strike to protest against Pulwama terror attack. Bharat Bandh 2019, Bharat Bandh Today: Traders’ body Confederation of All India Traders (CAIT) has called for a nationwide strike on Monday to express express solidarity with the families of 40 CRPF jawans martyred in the Pulwama terror attack last week. In a statement issued yesterday, the CAIT said that commercial markets will remain closed and there will be no business activity on Monday. In Delhi, the CAIT said, all wholesale and retail markets will remain close on Monday. Traders in Maharashtra, Madhya Pradesh, West Bengal, Uttar Pradesh, Rajasthan, Tamil Nadu, Punjab, Haryana, J&K and other states will also participate in the bandh. The union said that seven crore establishments stand in solidarity with the nation at this time of grief. Odisha business community has called for 12-hour trade bandh as tribute to 40 CRPF personnel martyred in Pulwama on Thursday. Following the band call, shops, business establishments and commercial markets were shut throughout the state. Minister of State for External Affairs General VK Singh said that India will choose time and place for retaliation to the recent terror attack on the CRPF convoy as it will be properly planned and well thought of. Sidhu further said that "any war, war-like or punitive action" must be planned for success. It should be a cold act and nothing is to be done in a hurry, he added. 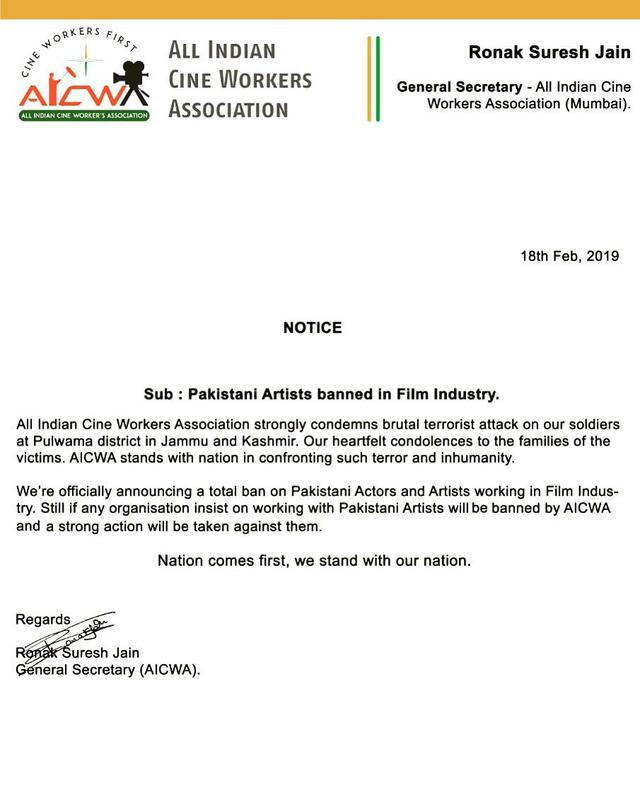 After Pulwama, All India Cine Workers Association announce a total ban on Pakistani actors and artists working in the film industry. Markets are shut in Bhubaneswar, Puri, Cuttack and parts of the state to protest against the Pulwama terror attack. The Odisha Byabasayee Mahasangh said that vehicular traffic will be normal and emergency services will be allowed during the bandh. Traders in Nagaland have supported CAIT in the bandh call. The traders are observing a half day 'shutter down' from morning till 12 noon. In Wokha, traders raised black flags in solidarity with families of Pulwama terror attack martyrs. Traders call for a bandh today in Guwahati as a protest against the loss of lives of CRPF Jawans. News ageny ANI reported that two terrorists have been killed during encounter between terrorists and security forces in Pinglan area of Pulwama district. The operation is still underway. Four soldiers, including an officer, were martyred in an encounter with terrorists in Pulwama district of Jammu and Kashmir on Monday. Security forces launched a cordon and search operation in Pinglan area last night after receiving inputs about the presence of terrorists. ANI reported that the cross-LoC bus service from Poonch in Jammu & Kashmir to Rawalakot (Pakistan-occupied Kashmir) has been suspended for today. Meanwhile, Pakistan once again violated ceasefire in Poonch sector last night, news ageny ANI reported. The Indian security official retaliated to Pakistan's firing in same capacity. CAIT secretary general Praveen said that essential items and public transport have been kept out of strike. Traders in Maharashtra, Madhya Pradesh, West bengal, UP, TN and other states will participate in the strike. CAIT secretary general Praveen Khandelwal said traders will also observe fast during the bandh time and take out march in different parts of the country to express solidarity. He added that the body is also planning to provide financial assistance directly to the families of martyrs. Besides, the CAIT said that it will launch a campaign to boycott Chinese goods because it supports Pakistan. “In the wake of China supporting Pakistan, the CAIT has decided to launch a national campaign to boycott Chinese goods,” it said. People burn the Pakistani flag during a protest against Thursday's Pulwama terror attack.In one of the worst terror attacks in Kashmir in last three decades, 40 CRPF jawans lost their lives when a JeM suicide bomber rammed a vehicle carrying over 200 kg of explosives into a bus convoy on Thursday. 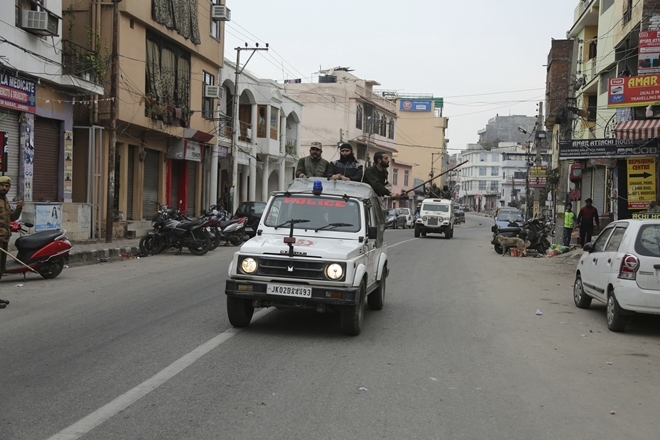 More than 2,500 CRPF jawans were travelling in the convoy of 78 vehicles when they were targeted on the Srinagar-Jammu highway in Awantipora of Pulwama.